Build upon the Securing Your Email - Fundamental series with these three highly-focused modules about sophisticated email threats. Email Protection Tools – Learn how to protect yourself from phishing scams in combination with email defense tools. 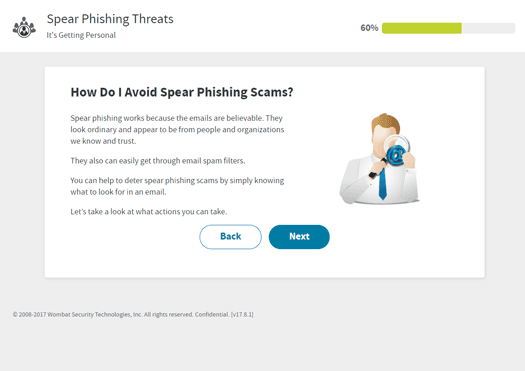 Spear Phishing Threats – Recognize and avoid targeted phishing attacks.